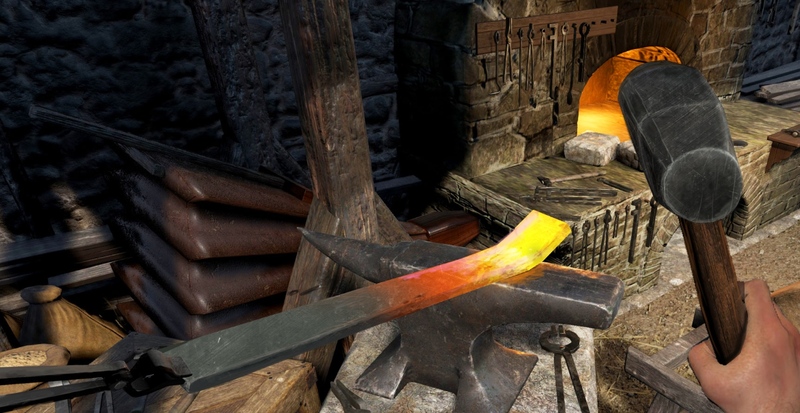 MMORPG Chronicles of Elyria’s Kickstarter campaign is about to enter its home stretch and with that surfaces the potential of a late surge in funding. It’s currently sitting at $1,114,822 of its original $900,000 goal, inching it closer and closer to its second stretch goal “Wards of the State.” In Cliqist’s multi-part series on Chronicles of Elyria, I’ve had a chance to cover family structure and how it ties into the game’ s economy and society. If Soulbound Studios manages to draw $1,300,000 in funding—and I don’t doubt that they will—they’ll implement wards, for players who don’t want to start off as a part of a family. There are pros and cons to this; you’ll be giving up financial and social stability in exchange for freedom to customize your character and roam the lands as you please. You might choose this is, as Soulbound Studios suggested in their update, if you’re a “person planning to be up to no good.” As I explained in an earlier Chronicles of Elyria post, character customization is constrained by your parents’ DNA, and you’ll have to hope for a DNA re-roll in your favour should you be unhappy with the boundaries given to you the first time around. You’ll also be able to select your own gender and distribute skill values and character attributes however you please. Even without the established structure of a family and dynasty to begin your Elyrian life, you’ll still be able to build up your own over time if you choose to. In their latest update, Soulbound Studios has also addressed a few questions raised by the community. 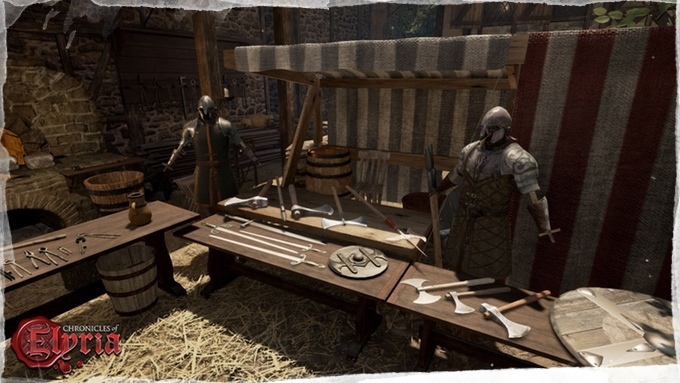 With the many innovative and ambitious concepts showcased in Chronicles of Elyria’s design journals and campaign updates, flickers of doubt have inevitably arisen in people’s minds as they’ve been attempting to put all the pieces together. A reasonable query brought up by a member of the community touched upon multiple lives, dying and property ownership; what happens to all your belongings when you die? It’s a well-known fact among followers of the project that permadeath is a vicious but realistic concept introduced to the game. 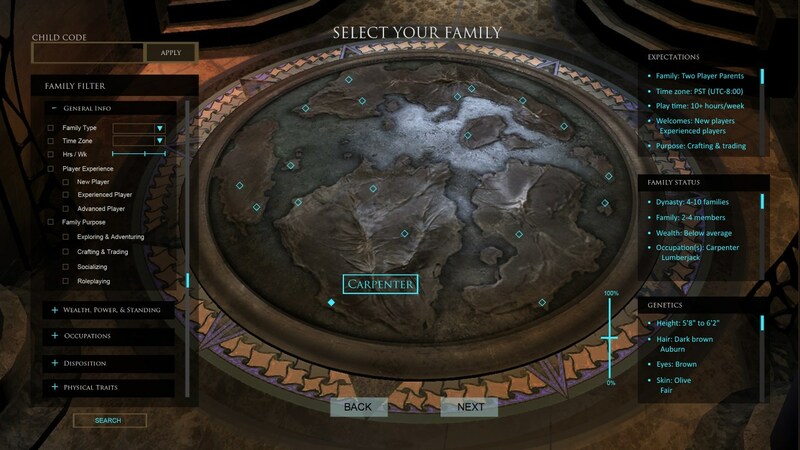 To combat concerns of players losing everything they’ve worked so hard for upon their inevitable virtual erasure from Elyria, Soulbound Studios has introduced the clever inheritance system. You’ll have an opportunity to pass on loot and money to your heir—perhaps a son or daughter—and you’ll also be able to play as him/her. However, if in your next lifetime you decide to go it alone, as a ward, you won’t retain any of your possessions from your past life. You won’t, for sure, be able to play as some mythical creature à la Skyrim; no elves, no Argonianans, no Khajiits, trolls, ogres, you name it. Um, Argonians? You Skyrim fans know what I’m talking about. As Soulbound Studios states, “All Elyrians are descendants of [man] and thus humanoid.” However you will have humans of varying skin colors and some that are better adapted than others to certain climates, for example, “in the deserts you may find darker skinned characters who can withstand heat and are better equipped for a lack of water.” Mountainous miners will be much more portly and will have an enhanced vision in low light environments. I’ll finish off what I’ve started and address the rest of the May 23rd update; although surnames were to be pre-determined for your character, at least before the campaign launched, backers of a certain tier will be provided with a token with which to change their surname one time. It should be noted, though, that the surname must be developer pre-approved, and wards will also be able to choose their own surname. If you don’t fall into either category, you’ll have to do with the name of your family; although I’m hoping there will still be a chance to purchase a name re-roll of some sort in-game. 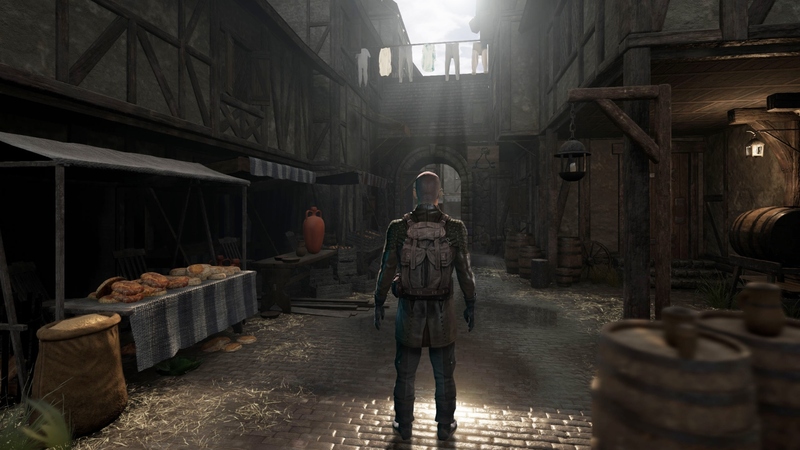 All the above information should clear up some of the air on Chronicles of Elyria, but given its immense depth and scope, it’ll take some time to answer everybody’s questions and concerns. In my prolonged “career” as a gamer, I’ve rarely read about, let alone covered, a project with such a level of immersion and realism. I’m comparing the game to Skyrim, and a great many more developers worked on that project. My point being—‘tis not a comparison I make lightly. It remains to be seen whether they can deliver as promised, but I certainly have high hopes for Chronicles of Elyria. Keep your hands tied to your mouse and keyboard and track the game’s progress on our Campaign Calendar! Also; more coverage on Chronicles of Elyria soon to follow!